Posted on Thursday, August 29th, 2013 at 9:53 am. 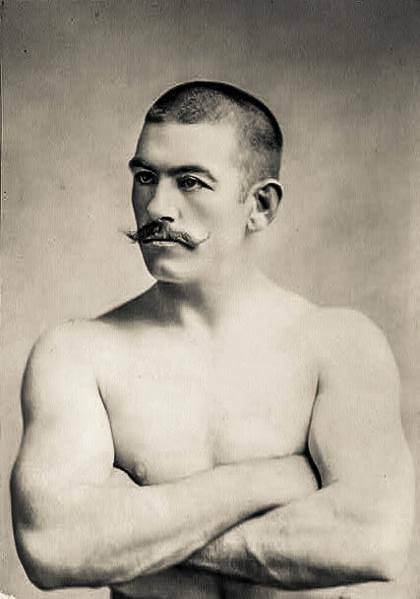 Boxing History: August 29, 1885 John L. Sullivan W 6 Dominick McCaffrey, Cincinnati. Wins vacant Marquis of Queensberry World Heavyweight Title. In the early rounds, Sullivan dominated the action, taking McAffrey to the ropes on several occasions and dropping him multiple times before the close of the third round. As the fight progressed, however, both fighters showed the effects of fighting under the Summer sun. Sullivan is named the first Heavyweight Champion under the Marquess of Queensberry Rules after this victory, though in actual fact he could only lay claim to the American title, as McCaffrey, a middleweight, was also a US citizen. John Lawrence Sullivan (October 15, 1858 – February 2, 1918), also known as the Boston Strong Boy, was recognized as the first Heavyweight Champion of gloved boxing (Whites only) from February 7, 1882, to 1892, and is generally recognized as the last heavyweight champion of bare-knuckle boxing under the London Prize Ring Rules. He was the first American athlete to earn over one million dollars. 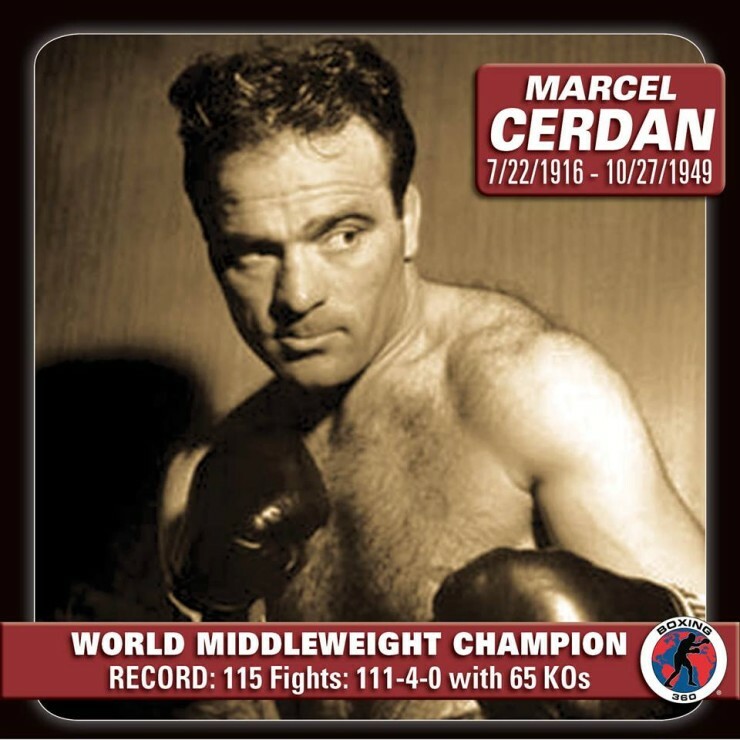 He was inducted into the International Boxing Hall of Fame in 1990, as a member of the hall’s original class. He had a record of 41 wins, 1 loss and 1 draws, with 32 wins by knockout, though many sources disagree on his exact record. The barn where Sullivan trained still stands in the small town of Belfast, NY and is now a museum. 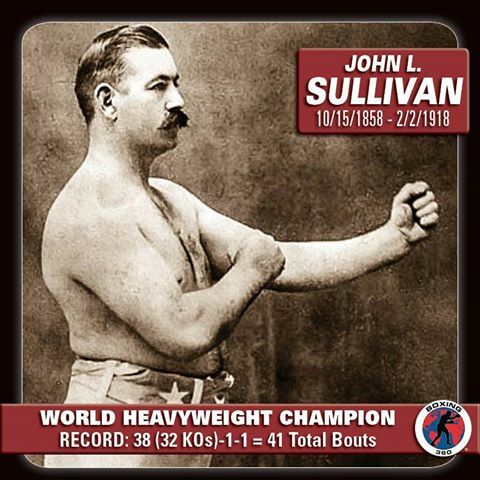 John L. Sullivan won the world title in 75th round in 1889 despite arriving at the fight after a long night of drinking, partying, and scoring with chicks. Sullivan showed up looking like he’d gone 36 hours without sleep (which he might have), and drank whiskey and tea in his corner between rounds. He barfed over the side of the ring in the middle of the 44th round, but kept in there, pushed it to the limit, and won the fight in the 75th round when the other dude was too exhausted and pummeled to continue fighting.